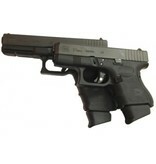 This unit adds capacity to Generation 4 Sub-Compact, Mid, and Full Size Glock high capacity magazines. This magazine extension replaces the original floor plate and internal locking plate and adds two rounds to a 9mm; two rounds to a 40SW and 357SIG, and one round to a 45GAP magazine. 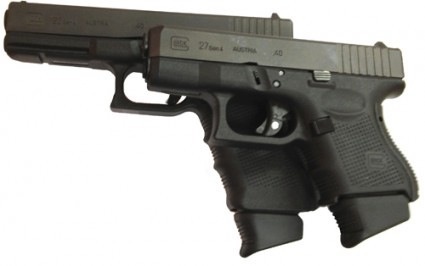 This unit will not fit the 10mm or 45ACP models.